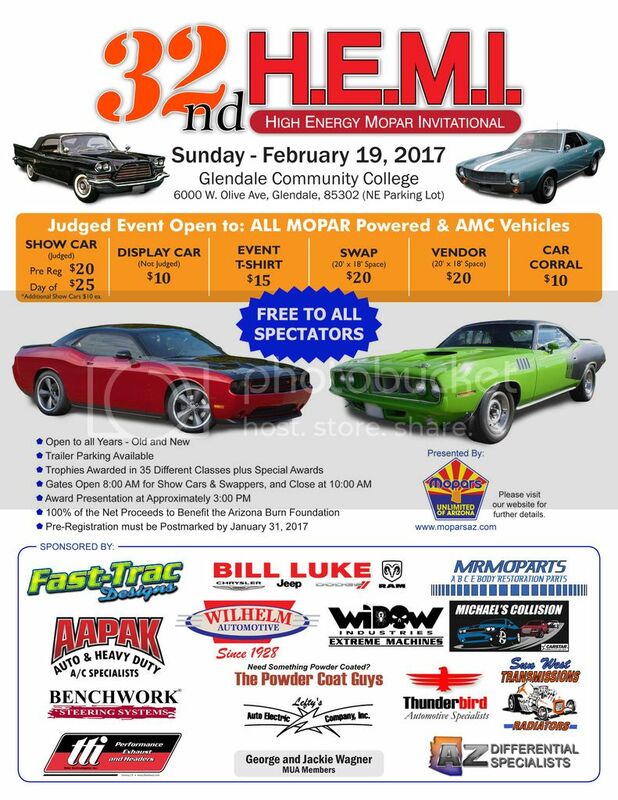 Mopars Unlimited of Arizona is proud to present the 32nd annual HEMI Show. Once again a new location, more centrally located, easier to find, plenty of space for show cars and vendors. The location this year is Glendale Community College, 6000 W. Olive Ave, Glendale, AZ 85302 (NE Parking Lot), Sunday - February 19th is the date, mark your calendars so you don’t miss this Show and swap. 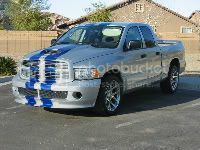 We have over 35 classes of Mopar vehicles, stock and modified. AMC, Jeep, truck/van, FWD, Prowler/Viper, late model classes, display only and many more. Professionally judged show. Vendor space available. Trailer parking is available. Gates open at 8:00 AM, awards at 3:00. Hemi, wedge, 6 pack, big block, small block, even the reliable slant six "leaning tower of power". Come see them all. 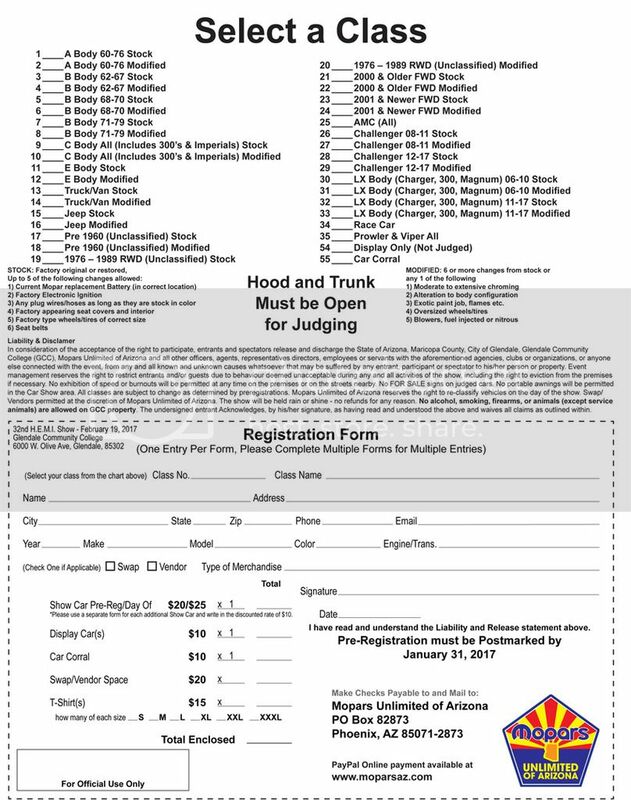 Entry Fee - $20 for 1st show vehicle if registered by January 31, 2017. Register after January 31 - $25, additional vehicles are $10 each. Pre-registration must be post marked by January 31st, 2017 to get discounted pricing. Registration form may be printed and mailed in with check or money order. 100% of the show net proceeds to benefit the Arizona Burn Foundation. 05 QC SRT10 DC Performance PCM, K&N filter, Magnaflow exhaust. 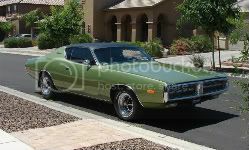 72 Dodge Charger, 360, A518 auto, 3.91 gears.